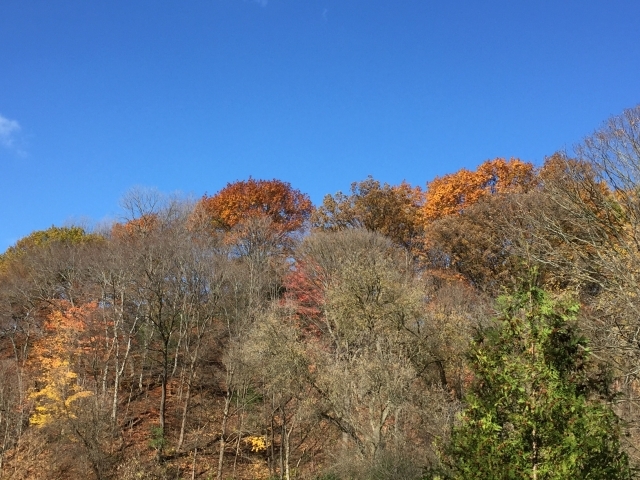 The largest ravine system in the world is one of Toronto’s most distinctive geographical features. Winding through its many neighbourhoods, it provides some 26,000 acres of wilderness escape, native plant and wildlife habitat, recreational hiking, cycling and even boating and canoeing right in the middle of the city. The ravines have been here for some 12,000 years, formed after the end of the last ice age and today’s city dwellers want to ensure its future. The TBG recently hosted its second Ravine Symposium with Executive Director Harry Jongerden welcoming ravine stewards and thinkers from across the city to attend this full-day meeting and listen to experts from various segments of the population, including a diverse array of cultures and communities, with an interest in protecting and promoting the ravines’ potential. The city got more responses (2,702) from a recent ravine survey than from any other City of Toronto survey, according to Jane Welsh, author with Garth Armour of the City of Toronto Ravine Strategy, described by Donovan Vincent in the Toronto Star as “a blueprint on how to manage, maintain, protect and fund the city’s vast network of ravines.” Obviously we, the citizens, care what happens to our ravine system. 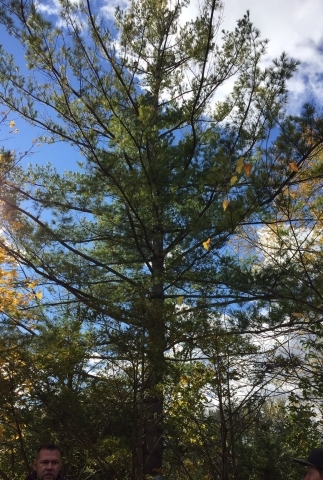 Challenges to the ravines include climate change, differing reasons why people want to use the ravines, cost, equal distribution, protecting wildlife habitat, different efforts taking place in isolation from each other sometimes operating in silence and an overall need to coordinate efforts. Protect – Ravines are fundamentally natural spaces. Ecological function and resilience is the foundation for long-term sustainability of the ravines and watersheds. We are all guardians of these spaces and must treat them with care and respect. All actions related to ravines should be guided by the overarching goal of protecting these spaces by maintaining and improving their ecological health. Invest – Managing the multiple pressures on ravines – from population growth and increased recreational use to climate change, weather events and invasive species – requires consistent and significant ongoing investment. In addition to looking for efficiencies in the way we manage ravines and opportunities to expand the system, we must make ongoing investment in these spaces a priority. 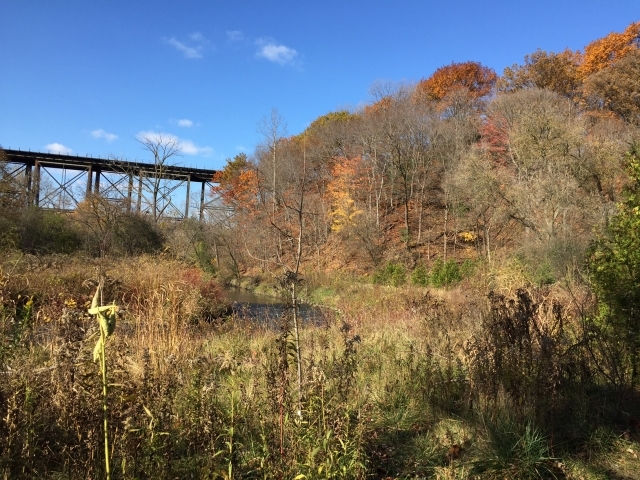 Connect – Toronto’s ravines provide great opportunities for people to connect with nature and the city’s rich history. We must ensure that people understand and appreciate the value of our ravine system and have physical opportunities to connect with these spaces in a safe and sustainable manner. Partner – Many individuals and organizations are interested in becoming more involved in the care and enhancement of Toronto’s ravines. 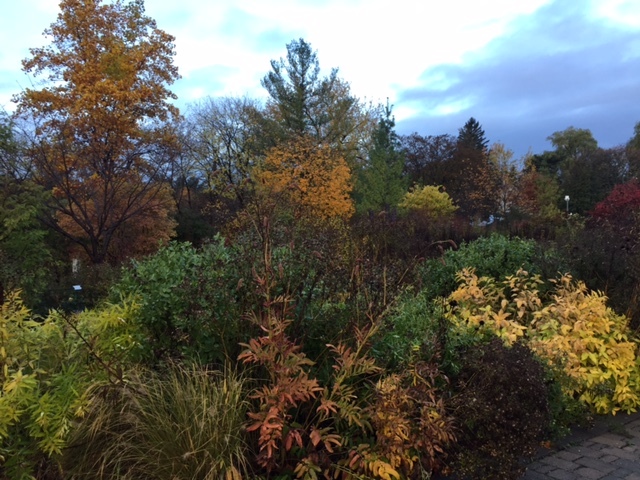 The City must work in partnership with the community, the TRCA, neighbouring municipalities, other levels of government, property owners, utility providers and other stakeholders to create more opportunities for individuals and organizations to contribute to these spaces in meaningful and sustainable ways. Celebrate – No other city in the world has a ravine system like Toronto. Our ravines are a signature feature of Toronto and a vital city asset. They act as place-makers, distinguish neighbourhood boundaries and character and help to define Toronto’s identity on the world stage. We must celebrate these spaces and encourage recognition of and respect for this magnificent system throughout Toronto and the rest of the world. Sounds promising. 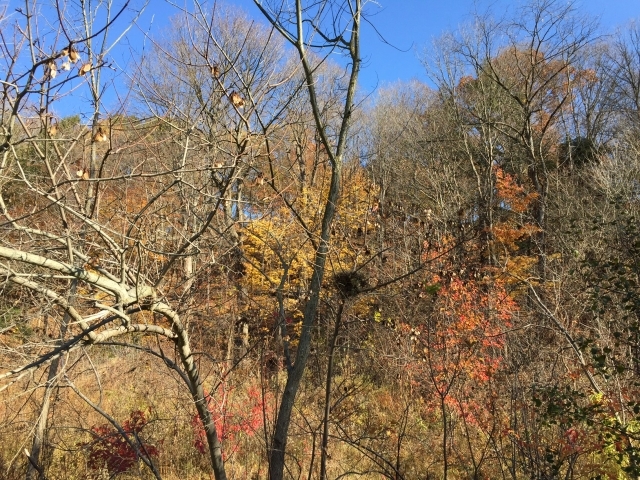 Let’s hope the momentum builds and the ravines continue to be a connected sanctuary for us all. Lorraine Hunter writes for such publications as Garden Making and Trellis. She has been published in the Toronto Star, National Post, Gardening Life, Canadian Gardening, Canadian House & Home and Woman’s Day Garden and Deck Design. She was editor of Plant & Garden Magazine. Lorraine is a member of the Garden Writers Association (GWA) and is a past president of the Women's Press Club of Toronto. She is a former member of the Board of Directors for the Toronto Botanical Garden in Toronto and is chair of its Trellis newsletter committee. She is also a Master Gardener. Connecting Kids with Nature Fun for All!